a packet of crisps and a bar of chocolate for the kids and not realise how unhealthy these habits could be for the family. 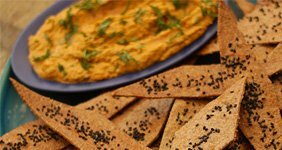 So, I am happy to have teamed up with Elephant Atta to promote healthier snack options, such as this recipe for homemade baked crisps served with lovely lemon and harissa hummus. It is not only healthy but also easy to make and a great way to get the kids involved in cooking. The flour for the crisps can be rolled into different shapes or patterns, in fact you can even get the kids to use cookie cutters for this to make interesting shapes. For the best results use Chakki Gold Atta. This is 100% whole wheat and packed full of fibre, so will keep the kids feeling fuller for longer in between meal times. 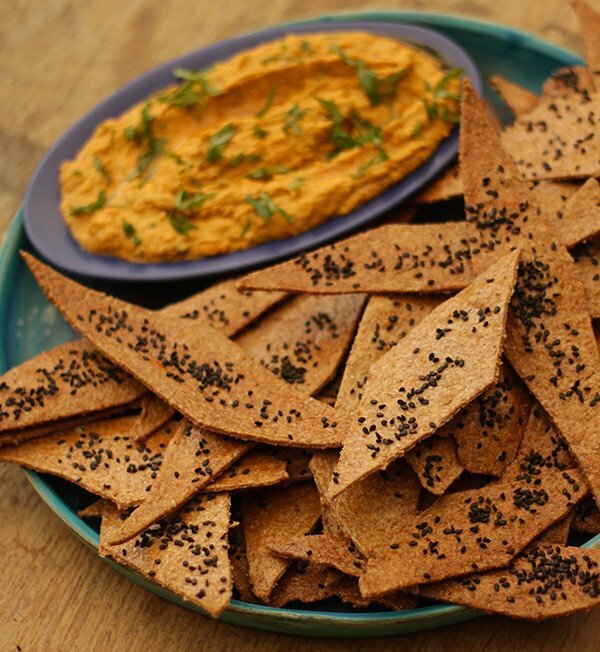 You can find the recipe for my flatbread crisps with hummus here! ← Summertime recipes with Elephant Atta from Chetna Makan!